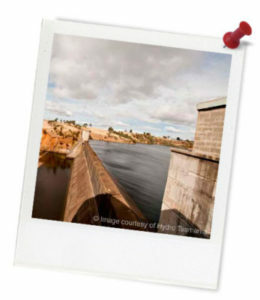 Quick summary: Students will analyse a persuasive visual text as practice for the writing component of the NAPLAN* literacy test on the topic ‘Working with Hydro Tasmania’. Students will identify relevant information from a video and revise the features of persuasive visual texts to complete an extended analysis activity. Learning goals: This lesson is designed to provide valuable practice for NAPLAN*, the national literacy test held in Years 7 and 9. Students identify the features of persuasive visual texts, evaluate them by writing an extended response, and gain valuable literacy skills, revision and practice for the NAPLAN language and writing tasks. Analyse how the construction and interpretation of texts, including media texts, can be influenced by cultural perspectives and other texts (ACELY1739). Listen to spoken texts constructed for different purposes, for example to entertain and to persuade, and analyse how language features of these texts position listeners to respond in particular ways (ACELY1740). Resources required: Access to a device on which to screen a short video, Student Worksheet (one copy per student OR computers/tablets to access the online worksheet), device capable of presenting a website to the class. Keywords: Hydro Tasmania, careers, NAPLAN. Overarching learning goal: By participating in this activity students will identify the features of persuasive visual texts, evaluating them by writing an extended response. Students will gain valuable literacy skills, revision and practice for the NAPLAN language and writing tasks and will develop knowledge about the benefits of working with the Hydro Tasmania corporation. 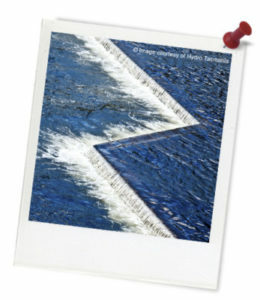 Watch the video titled Start your Journey with Hydro Tasmania. After you have watched the program, write full sentences to answer these comprehension questions about your viewing. A sample question has been completed for you to demonstrate the style in which you should write your responses. Sample question: What is the effect of the onscreen text at the very start of the program? Sample answer: The onscreen text presents a question designed to engage a viewer’s attention, encouraging them to form a personal response. 1. The value of freedom is mentioned by Nyssa in the video. What does she specify say freedom involves? 2. Kate states that she learns what in her job? 3. What apprenticeship is Charles undertaking? 4. What do the interviewees believe about the potential for advancement within the company?